The Critical Care Fellowship Training Program of the University of Washington is a collaborative one-year program administered by the Departments of Medicine and Anesthesiology and Pain Medicine. The program accepts graduates of residency programs in multiple disciplines including medicine, anesthesiology, surgery, obstetrics and gynecology and emergency medicine. Candidates are selected based on their preparedness and ability to benefit from the Program. Completion of this one-year Critical Care Fellowship allows graduates of residencies in anesthesiology or obstetrics to sit for the ABA certification exam, and graduates of surgical residencies to sit for the ACS certification exam in critical care medicine. Graduates of internal medicine residencies who have also completed a sub-specialty fellowship are eligible to sit for the ABIM certification exam in critical care after this one-year program, but two years of critical care training are required for Board-eligibility after graduation from an internal medicine residency alone. Louena Goodwin: 206-543-2773, fax 206-543-2958, lfg@uw.edu. Fellows rotate through a broad mix of ICUs within the UW system in a schedule that it is integrated with the Pulmonary Critical Care Fellowship. The Critical Care Division of the Anesthesiology and Pain Medicine Department includes 15 faculty who are trained in Critical Care Medicine, and who contribute to the education of critical care fellows. Fellows split their time between three Seattle clinical sites: University of Washington Medical Center; Harborview Medical Center; and Veterans Affairs Puget Sound Health Care System - Seattle Division, with the majority of time spent at Harborview Medical Center and the University of Washington Medical Center (UWMC). The Medical ICU Service cares for a variety of patients, including post-operative liver transplant and long-term lung-transplant patients, as well as more "routine" medically ill patients. The fellow guides a team of housestaff composed of interns and Internal Medicine R2s with oversight by faculty from Pulmonary and Critical Care. The fellow takes the calls for outside transfers from throughout the Pacific Northwest, and is responsible for triaging transfers. The Surgical ICU Service cares for post-operative surgical patients from General Surgery, Neurosurgery, ENT, Urology, Plastics, Orthopedics, and some Obstetrics patients requiring ICU stays. 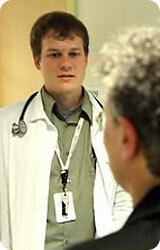 The fellow oversees a group of housestaff from Anesthesiology, Surgery and Emergency Medicine. Critical are faculty on this service are from General Surgery, Anesthesiology and Pulmonary Critical Care. Call for fellows on these services is from home. 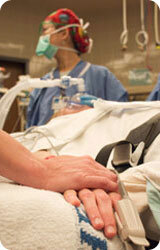 The Cardiothoracic ICU Service serves all Cardiac and Thoracic Surgical patients at UWMC. The fellow is integral in management of the complex pathophysiology associated with these cases. The fellow leads a multidisciplinary team of Surgery housestaff, Acute Care Nurse Practitioners, Physician's Assistants, Pharmacists, and Dietitians. In the "5 Southeast ICU", the patient population consists of a robust general cardiac and thoracic experience, one of the world's most active lung transplantation programs, a large cardiac transplantation program, and a rapidly growing ventricular assist device program. The Critical care faculty on this service are dual-trained in Cardiac Anesthesiology and Critical Care, or in Cardiothoracic Surgery and Critical Care. The Heme-Onc ICU provides exposure to bone marrow transplant and solid organ malignancy patients requiring ICU care. Fellows work one-on-one with a Pulmonary Critical Care attending in a co-management role with the hematology/oncology teams. This service provides a great opportunity to work with a unique patient population, and provides an opportunity to become facile with bronchoscopy as a tool for the evaluation of immunocompromised patients. The Neurocritical Care Service is directed by the Department of Anesthesiology and Pain Medicine, and provides care for neurosurgical trauma patients with isolated spine and head injuries, and patients with a variety of neurovascular problems such as subarachnoid hemorrhage. Fellows work with housestaff from Anesthesiology, Emergency Medicine, and Neurosurgery, and faculty from Anesthesiology and Pulmonary Critical Care. The Trauma/Surgical ICU Service manages a large volume of trauma patients from throughout the region in addition to general, vascular, and thoracic surgical patients in a "closed" ICU model. Residents on the service come from Anesthesiology and Surgery, and critical care faculty are from Anesthesiology, Pulmonary Critical Care, and Trauma Surgery. The Harborview MICU Service cares for critically patients from the surrounding area and WWAMI region with medical problems. Residents on this service are from Internal Medicine, and faculty are from Pulmonary Critical Care. Like the UWMC, call for fellows on Harborview ICU services is from home. The Surgical ICU Service cares for a variety of postoperative patients including post-cardiac surgery patients. 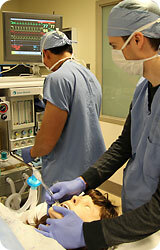 This service is directed by the Anesthesiology Department. Residents on this service are from Anesthesiology and Surgery, whereas faculty are predominantly from Anesthesiology and Surgery. In addition to nine months of core ICU rotations, electives are available in radiology, cardiology/echocardiograpy, nephrology, infectious disease, and independent study. A variety of structured educational opportunities exist in addition to ongoing clinical education. The Anesthesiology Critical Care Division holds a quarterly journal club meeting for faculty, fellows, and combined program trainees. Fellows also take part in the Pulmonary Division's weekly Chest Conference, a CPC-type format where fellows present teaching cases for attendings to discuss. This conference is followed by a didactic session each week. Every rotation has specific didactics, and a weekly multidisciplinary critical care journal club takes place at Harborview. An extensive array of research-based journal clubs and conferences are available through the fellowship. The University of Washington provides a vibrant environment for interdisciplinary biomedical research. The Anesthesiology and Pain Medicine, Medicine, and Surgery Departments all offer opportunities for research in basic science and clinical aspects of Critical Care and related fields. Collaboration among departments is common, and provides for a rich intellectual atmosphere. The University of Washington School of Medicine ranked fifteenth among U.S. medical schools in receiving NIH funding in 2016, with grants totaling more than $272 million (source). Harborview Medical Center and the University of Washington have an illustrious history of leadership in research in critical care medicine. The Critical Care Division of the Department of Anesthesiology and Pain Medicine is actively involved in outcomes-based research at Harborview Medical Center, providing opportunities for critical care fellows to gain exposure to clinical research. For trainees interested in more in-depth research training with the intent to pursue an academic career, several opportunities exist. The department offers a two-year research fellowship in basic science or clinical research for trainees interested in focused research training that is funded by an NIH training grant. Another mechanism for research training is present in the form of research "faculty-fellowships" that combine clinical work with basic science or clinical research training, which are funded by clinical revenue. Clinical Interest: Critical care medicine. 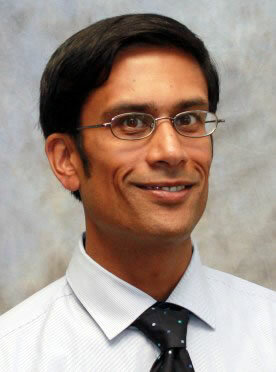 Research Interests: Sepsis, outcome prediction and risk reduction, global health. Personal Interests: Tennis, squash, dancing, reading. Reseach Interests: Influences of hypercapnia on inflammatory cell signaling pathways in relevant clinical translational models of lung injury. Effects of nitric oxide and nitrite anion on attenuating hepatic ischemia-reperfusion injury during transplantation. The University of Washington Anesthesiology Critical Care Fellowship is now participating in the SF Match. Candidates must register and apply using the Common Application Service (CAS) through the SF Match at https://www.sfmatch.org. Graduates of ACGME accredited residency programs in anesthesiology, emergency medicine, obstetrics, general surgery and surgical sub-specialties are invited to apply.